Yang Bing has been integral in defining Beijing’s underground club scene with his famous signature fat bass and funky tech-house sound. A native of Beijing, Yang Bing began DJing in 1995 when the city had no clubs playing electronic music, and commercial pop music dominated the scene. Starting off his career in a club playing pop, it was only a matter of time before his passion and interest in Tech-House and raves drove him to pursue other opportunities. In 1997 he broke out on his own, promoting and playing the first underground rave parties in Beijing clubs. After three years of hard work Yang Bing and his friends were hosting the hottest club nights in Beijing. At the same time, Yang Bing was developing his performance skills and establishing an audience for his personal tech-house style. In April 2000 Yang Bing and his friends brought all their experience together, launching the China Pump Factory parties that are still the most popular events on the Beijing scene. In June of 2000, China Pump Factory was the main catalyst behind the first rave event to have a major impact on China’s club scene. Organizing and playing the summer’s ‘Party at the Great Wall,’ Yang Bing’s music and infectious performance received attention throughout China and the world. He continued to successfully organize his own parties, as well as perform for other labels and promoters. 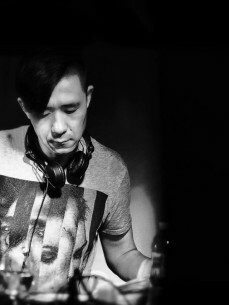 In May of 2001 Yang Bing became the first Chinese DJ to play in Europe when the Bern Electronic Music Convention invited him to play at one of their headline events. Yang Bing was then invited back to Switzerland to play at the one million person Zurich Street Parade with CheeseBeat in August the same year. Since then, he’s played in Switzerland several more times, including shows at such venues as Spider Galaxy, Club Q, Supermarket. Other noteworthy performances for Yang Bing include shows in Vienna, Berlin, Amsterdam, Rio De Janeiro, Singapore, San Francisco and many cities across China. One of the pinnacle moments in Yang Bing’s international career happened in July 2003 when he was invited to play at the Rio Parade in Brazil. Not only was he able to showcase his own talents, but he had the opportunity to DJ with some of the best DJs and party crews in the world. Throughout 2004 Yang Bing continued to organize regular parties with China Pump Factory at Cloud 9, Beijing’s number one techno and house club. In April 2004 Yang Bing was invited to play at The Liquid Room in Singapore and to play at the Fusion Festival in Berlin, Germany alongside famous DJs, such as Steve Bug. Being only DJ invited from Asia, Yang Bing’s set was widely recognized as one of the best of the four-day festival. Later Yang Bing went back to Switzerland to play at Club Supermarket on invitation by DJ Gogo before returning to Asia in February 2005 to play at The Liquid Room Singapore. Throughout this time, Yang Bing has continually been invited to play at China’s biggest parties and festivals, such as the Yan Great Wall party. In October 2005, Yang Bing was the sole DJ invited to play at the China Music Festival in Amsterdam. While promoting one-off events and his international work, Yang Bing has been resident DJ at most of Beijing’s top clubs, including Vogue, The Loft, Club Orange, Velvet Room, Cloud 9 and Club Cargo. Today Yang Bing continues to develop and build the EDM scene in Beijing and in mainland China as well. Starting in 2002, through his own efforts he began his own label “Electrax Beijing” that invites DJs from around the world to play in clubs across China. He has successfully produced shows with legendary figures such as Electric Indigo from Austria, Ellen Alien, Monika Kruse, Ben Klock (Berghain Club) from Berlin, Metop from Koln, Daniel Bell, John Selway, Brett Johnson, and Tony Hewitt from US. Going on 11 years now, his work in this area has continued to grow, and party label Electrax continues to regularly host top DJs from around the world building EDM in China show by show. In 2007, Yang Bing became one of the main founders of Beijing’s most famous underground night club: White Rabbit. With the rise of EDM in China, White Rabbit Club's success was limitless. Since 2011 White Rabbit has evolved to become HAZE Club, the premiere venue showcasing NuDisco in China. In September 2009, Yang Bing started ‘33 45’ Underground Disco Project. Teaming up with a group of experienced music and event producers, ‘33 45’ Underground Disco Project hosted shows across 12 cities in China, such as Beijing, Tianjin, Shanghai, Nanjing, Chengdu, Chongqing, Changsha, Kunming, Guiyang, Jinan, Dalian, Qingdao. Instantly becoming an important communication platform for young Chinese DJs and producers, ‘33 45’ Underground Disco Project has become a platform for up and coming DJs and Industry types to showcase new talent. In January 2011, ‘33 45’ Underground Disco Project Records (UDP Records) officially registered in Tokyo, releasing their first EP by well known Beijing producer Eddie LV, ‘Chinese Attitude/Alright’ in July later that year. Recently in 2012, Yang Bing consulted for a Berlin TV production with a documentary about Chinese electronic music industry called ‘Minimal China'. Aside from his love of music and performing, Yang Bing is actively concerned CERTAIN issues afflicting China, especially the spread of HIV/AIDS. He has continually included AIDS prevention information on party flyers and has stalls giving away free condoms at his parties. In May of 2003 his work in this respect led to his being invited by UNAIDS and Marie Stopes International to speak and participate at a conference in Goa, India on the use of the arts and media to raise social awareness about AIDS in Asia. Unfortunately, the outbreak of SARS in Beijing meant Yang Bing could not go. Nevertheless, his work in this area continues.